A friend getting started in photography after abandoning a previous career wrote to me recently. No texts should be presented with photographs, he asserted, because the images should be able to convey their content completely. Accompanying photography with text was a sign that the images lacked something. He's from Philly, so I'm correcting his English to present his argument to you. His comments are common and raise two fundamental questions of our medium: can photography alone communicate an idea clearly and what is the expected role of text provided by the photographer (or a selected surrogate writer) in terms of presenting content? The observer can receive many ideas from staring at a photograph. It's part of why we look. The possibility of communicating an exact thematic agenda strictly through the image is a separate question. Photography alone communicates specific ideas from creator to observer poorly, like catching the news through the crackle of static. Why? First, photography presents a truth value it does not actually have. Ron Jude said it well in a recent interview with Mark Alice Durant when he talked about "the space between what photographs promise to deliver and what is actually communicated." This is probably part of what caused a lot of us to fall in love with photography and tattoo a Rolleiflex on our leg: it is reality as quicksilver, it's the manipulation of reality through lens choice, framing, exposure, and other decisions necessary to create a two dimensional image from three-dimensional reality, and the creation of an image that retains the trace of reality, yet becomes something else. That "something else" is sometimes close to where it began, sometimes very far from it. Photography cannot communicate specific ideas well because while it works with reality as its source, it is mediated and ultimately muted by all that is stripped from it through this process of converting real life observations to ink or silver gelatin on a piece of paper. As a vehicle of reality photography is an unreliable witness, perhaps especially because it retains this reality trace. It's a very good liar. It contains recognizable traces of the reality from which it started its path of transmutation, yet ultimately remains linked to reality through formal traces, not an actual physical connection. Second, photography communicates specific ideas poorly because no matter how exacting the photographer is in their use of visual signifiers, he or she cannot control their audience once a photograph is released into the public sphere, they cannot control the context in which it is seen and cannot determine the social context it performs within. Context determines a reading of any object and context inherently changes. This results in a photograph evolving meaning over time and between viewing spaces. This idea was explored at length on this site here so I'll avoid retyping it out at length again, but in a sentence, a photograph can change meaning for us based on how its printed, if it's seen online or in print, the information we know about its maker, if it's seen during war or peace and a myriad of other contextual factors. If photography cannot communicate concrete ideas clearly because it is an unreliable witness and the visual elements it uses to convey meaning change based on how, when and why we view it, then just what does that tell us about the role of text provided by the photographer to accompany their images? It depends on the intended use of the image. If the goal is to communicate a specific narrative or story, I think we've given up completely on the idea photography can do that and simply written out what it is that images can't tell us – see Agee and Evans, Lange and Taylor. 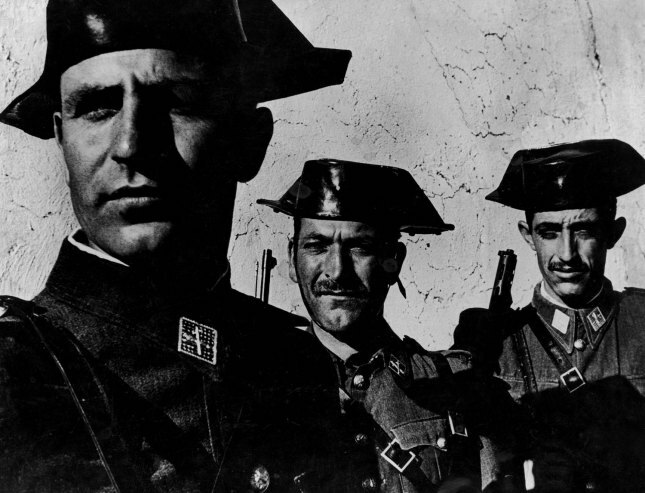 Reread Szarkowski talking about futility of W. Eugene Smith's work to show the life and poverty of Deleitosa, Spain in 17 images which he believed strained the medium beyond its capabilities. For more contemporary examples, we have the Sochi Project and the long essay that accompanies the photographs in LaToya Ruby Frazier's The Notion of Family. 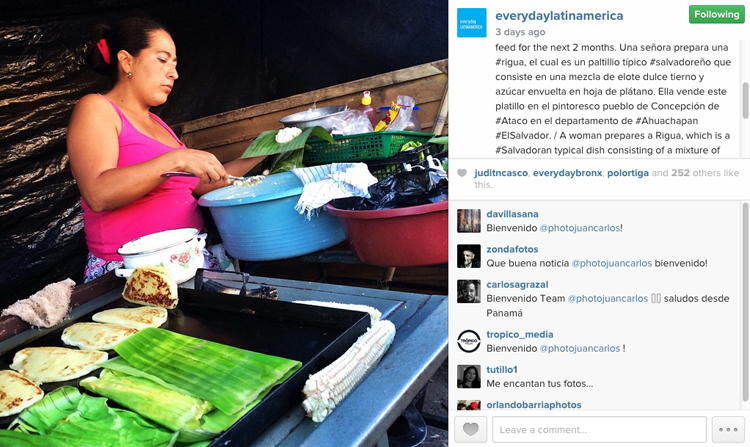 Look at the Everyday (Asia, Africa, Latin America, etc) projects and how images they post are often accompanied by a long (for Instagram) text that describes the image. In this way, we see confirmation in the opposite: the limited capacity of photography to communicate the specific can be seen in what text is asked to do. We also see that in contemporary photojournalism and documentary the belief in photography to be strong enough to carry the specific has collapsed. The limited capacities of photography to communicate information are supported by text (as well as video clips, found object scans, historical documents, you name it). Its role is clear. On the other end of the spectrum from this type of observational photography, text is also embedded in the presentation of conceptual work for reasons that seem clear, so I'm going to avoid getting into it here for brevity's sake. This leads me to talk about the way text functions with all the work in the middle of the spectrum and the reason why I sat down to type this out to you'se guys (sorry, I lived in Philly for a while too). The work I am referring to is contemporary art photography made largely in the observation-documentary mode. It's much of the work seen on independent sites, including this one. It's the work Carl Gunhouse describes as being spawned from a cross of work by Alec Soth and Roe Ethridge. Photographers in this dominant vein are commonly writing about elements in the work that just aren't there. They are overreaching with the texts on their own work, trying to make their photography do more than it can, staking claims it can't sustain. They are using text to string together a bunch of images and using text to take responsibility for their themes instead of being exacting from their work. The result is a diminishing of the photography as the observer discovers it cannot do what the text wishes it did. This is the "Fiction of Content," the textual invention of what is in the photography. One can guess at the reasons for this trend: the dominance of "the project," the demand by photography distributors for thematic coherence in the project, the expectation that the project be accompanied by a strong statement that avoids generalities and the rise of intellectualism in photography generally in the last four decades. The expectation of the accompanying statement creates an inherent risk for this type of work - we are asked to be specific with words about photography that in many cases aims to evoke rather than describe. For many photographers, the temptation is too strong - the statement becomes a quicksand of false claims. Statements can illuminate. Many photographers do their photography proud with their writing. Read the accompanying texts at galleries, read the press releases from major presses, read the essays at the back of the photobook, however, and look at the work afterwards and tell me how much of what is claimed by the text is actually in the images. Often, it's very little. While specific examples are called for, I'm going to chicken out. No need to pick fights. I disagree with my friend from Philly. Text accompanying photography, even when it's not working on a specific, observational narrative, has a place, but the goal of good writing about one's photography or about the photography of others for a website, photobook or gallery is to leave the observer with questions and excitement about the work that they can then dig into the work to satisfy. It's goal is to resonate with and accompany the images, to work in parallel. It is not the goal of writing accompanying texts to explain the work so that we are left feeling we know the work before we've seen it or, worse and more common these days, to say more than the photography itself does.